Why Keap & Infusionsoft by Keap? 125,000 customers trust Keap & Infusionsoft by Keap’s award winning marketing, sales and customer services, CRM (Customer Relationship Manangement) software. Keap (formerly Infusionsoft) has been helping small businesses succeed since 2001 and has developed a worldwide community of experts, including this LibAbun partnership, dedicated to your success. LibAbun’s purpose is to ‘help small businesses thrive’, that’s why we are very pleased to introduce to you ‘Keap’ & ‘Infusionsoft by Keap’ which in our humble opinion are the best CRM and marketing and sales automation systems for small businesses. In fact, we loved the Keap (formerly Infusionsoft) company, its people, their culture and the product so much, we have become ‘Keap & Infusionsoft by Keap Certified Partners’. Discover how Small Businesses use the Keap & Infusionsoft by Keap Customer Relationship Management (CRM) to automate their marketing more, grow sales, get more organised, improve productivity, save time and make more money. 1. Create & Capture More Leads – Develop better and more opportunities to engage with your target audience. 2. Develop A Perfect Sales Funnel – Map out your sales process, close all the ‘loop-holes’ in your sales process, then create automated sales funnels that convert with systematic consistency to get away from the ‘feast or famine’ rollercoaster in business. 3. Master E-Commerce – Provide a seamless online shopping experience that operates 24/7 365 days of the year and automatically links to your business accounting software, such as Xero. 4. Correctly Manage Your Sales Process – View all your contacts and customers in your sales pipeline, whatever sales stage they are in and easily manage who you follow up with and when. 5. Keep Organised & Manage Your Business Better – Store contact information safely and easily track every interaction. You’ll also have complete access to every logged transaction all in one single system to better manage your business. 6. Save Time By Automating Many Tasks – Say “Good-bye” to those repetitive mundane tasks that you should have automated a long time ago! Free up more of your time to do the things you want to do! 7. Learn To Operate With Keap & Infusionsoft by Keap With Confidence – You do not need to be an ‘I.T. Guru’ to run Keap or Infusionsoft by Keap, but you do need to learn how to use it. Libabun are Keap & Infusionsoft by Keap Certified Partners and we will help you set up all your necessary campaigns and systems and then teach you and your team how to use them correctly. Organise and manage contacts so you can best address their needs. With customer tracking software, you’ll know key details about every customer—right down to their last purchase or conversation with you—and impress them with quick responses delivering incredible customer service and personalised messages. It’s the professionalism and polish of a company with an entire marketing department, with the personal touch of your small business. 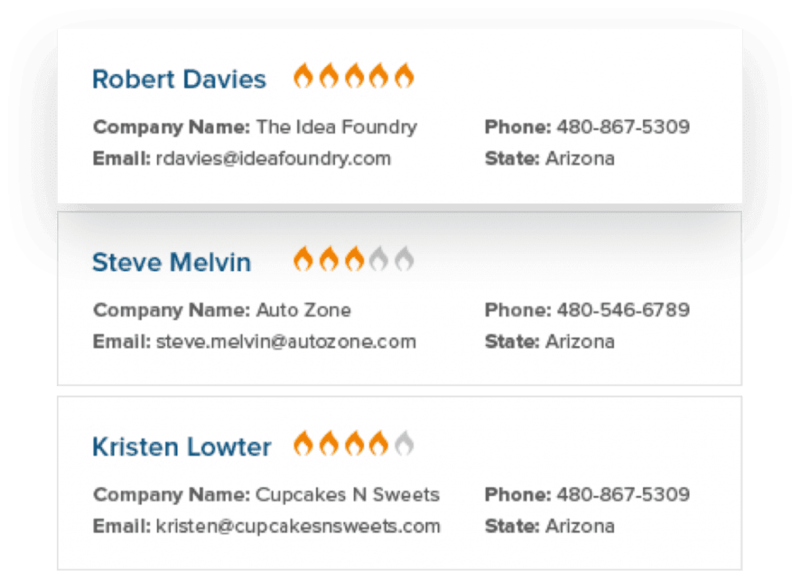 That’s the power of a small business CRM. Find everything you need to know about your leads and customers in one place, so nothing is overlooked. Work Smarter not necessarily harder to increase your productivity. Stop wasting time chasing down every lead and focus on the hottest leads. Marketing automation software transforms how you work to achieve higher engagement with less hassle. Do you want to find out who’s visiting your website most often? Done! You can now make an offer or a discount to the hottest leads—without writing an email to every lead? “That’s right, you can automatically follow up leads such as when someone abandons a shopping cart? While you sleep! Leads are great, but paying customers are better. You could spend money hiring a huge sales team. You could make more cold calls, or for a fraction of the cost, you could use sales management software to get even better results. With the powerful Infusionsoft CRM running your sales machine from behind the scenes, there’s no stopping you from reaching your full revenue potential. With Infusionsoft’s e-commerce tools, you can use customisable templates to sell your products, services or subscriptions online. Use Infusionsoft’s storefront, or build your own, either way, your customers can checkout through the Infusionsoft shopping cart to enhance sales.